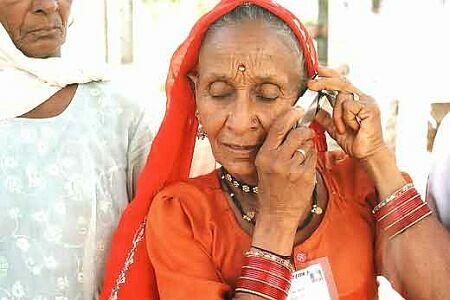 The cellular phone has changed, and will continue to change, the lives of millions around the world. In less than a decade, the cellular phone has driven stunning social change in the developing world, and it has the potential to do still more. Its convenience, ubiquity, data leverage, and wireless infrastructure are proving invaluable in areas that lack landlines and data centers, possessing only archaic alternatives to communication. This Wiki examines cell phone use in eight broad areas, focusing on the developing world. Using a case-study approach, each section below examines one real-world application to glean both its advantages and drawbacks, as well as to identify potential for further improvement. How can cell phone technology can be used to improve health services and delivery of healthcare in the developing world? This case study looks at the advantages and potential pitfalls in the implementation. Cell phone technology has been able to save lives and property in emergencies and natural disasters, especially in developing countries. What can organizations learn from such uses of mobile telephony? An examination of how cell phones are used to mobilize people to participate in civil society. This section describes a citizens' election monitoring project in Nigeria. A look at ownership structures of the cell phone industry and market in developing countries, including market shares, price points, and market penetration. The aim is to identify key differences that arise between various national markets, and to identify how these differences impact the nature of mobile telephony – what it’s used for, how it’s used, who uses it – in various countries. Using the example of China, how does a society approach the question of privacy in a country that already has high cell phone penetration, but where legislation has not kept pace with technology to resolve privacy issues? Where and how in the developing world, has cell phone technology been used to further the broad goals of education? Has it been effective? How can this use of cell phones be developed further? A cell phone, it is said, turns every citizen into a journalist. Is that necessarily good? What have we learned from the recent experiences in Burma, where cell phone videos of protests and police action have leaked to the outside world? Cell phones play an active role in the domestic economic sphere in the developing world, just as they do in developed countries. Often, considering the limited resources available, developing countries take the lead in innovation. This page looks at the Grameenphone program in Bangladesh, and how it might be replicated elsewhere.